Russian cosmonauts will conduct an extra experiment in outer space to find the causes of a hole in the Soyuz MS-09 spacecraft that prompted a drop in pressure on the International Space Station (ISS) in late August 2018, Head of Russia’s State Space Corporation Roscosmos Dmitry Rogozin said on Monday. "The samples collected on the ISS are insufficient for final conclusions. Apparently, additional experiments in orbit will be required," Rogozin said. Several days after the incident, specialists concluded that the Soyuz MS-09 spacecraft had been damaged with a drill from the inside. 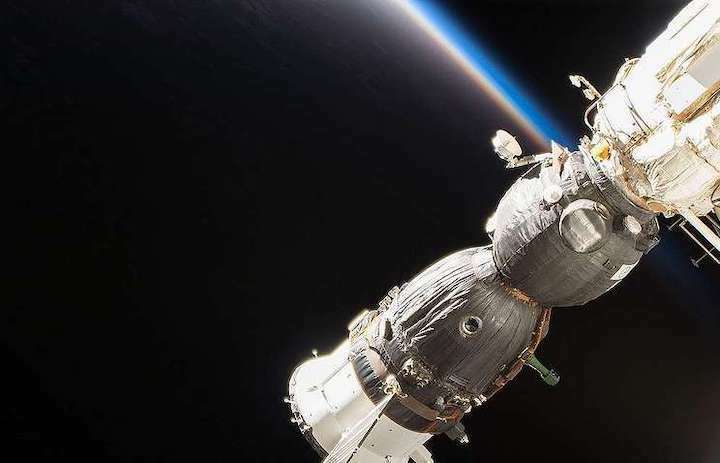 Overnight to December 12, Russian cosmonauts Sergei Prokopyev and Oleg Kononenko made a spacewalk to examine the hole in the casing of the Soyuz spacecraft. They unsealed the thermal insulation layer and the meteorite shield, inspected and photographed the hole, and also scraped off samples from the hole’s surface. On December 20, Prokopyev delivered these samples to Earth, after which they were transferred to investigators to identify the cause of the hole in the Soyuz MS-09 spacecraft.